Small Business owners often start out with a tight budget. And after investing resources into operations and man-power, Website Design may low on your priority. And hiring a Web Design Company may be out of reach for now. Fortunately, for those who willing to try a Do-it-yourself approach, Online Website Builders can come in pretty handy. But finding the right website builder is a time consuming process. And whilst generally inexpensive, the process of selecting and designing on a website builder may take a significant amount of time. What you do not want is to choose a website builder and realize that some features or layout may not be supported. And most platforms are not compatible with each other. Meaning, you cannot export your website and import to another builder. That is why, as a rule of thumb, it is advisable to plan your website and its various web pages before you start the design process. Website Builders are online tools that are available for anyone to create a website with ease. Editing of a site is done via the browser and there is no need to download any software. 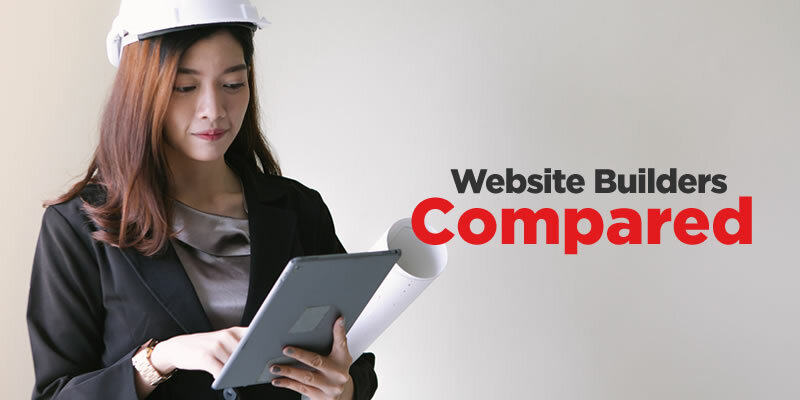 Some builders may be free to use but if you want to connect to your personal or business domain name, then a fee usually applies. Lets explore the different Website builders in the market today. Some of which we have personally tested and some we know by just reputation. 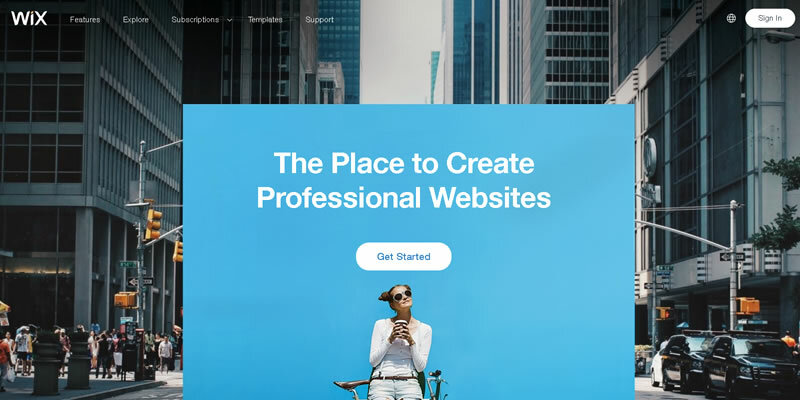 In this article, we strive to provide an objective comparison and review on the the pros and cons of some of the Best Website Builders in the market. Wix is a very well known and popular website builder. Additionally, WIX is Free and you can create multiple website on each account. However, sites using a free WIX account are limited to publishing as a sub domain. Additionally an advertisement will be shown on the website. When you sign up to WIX, the dashboard presents you a simple, 4 step process to configure your website. Which is pretty useful for non techies. And you can create a website by choosing from one of the hundreds of free pre-designed templates. Editing comes in 2 sizes, a mobile view and a desktop View, which you can toggle with a simple button. This comes in very handy for testing for different sizes. The Wix Drag and Drop Builder is generally easy to use. 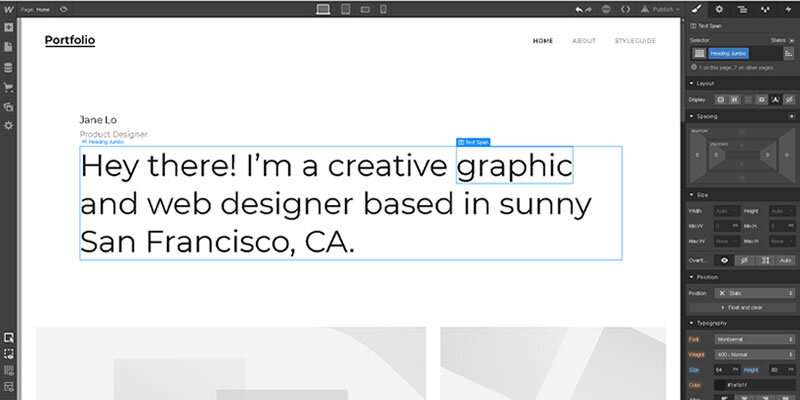 And unlike grid based layouts, you can position your website elements anywhere on a page. We especially like the slider module, which you can add as many text and image elements into it. However, the overall editing experience feels a little bit clunky. And errors do occur occasionally, especially when using the undo shortcut. But with the huge library of resources, you can technically launch a website in 15 mins. The best thing we feel about WIX is that they provide a good amount of value added features. Features such as an integrated email marketing platform with automation and triggers and a video maker for social posts. Normally, one would have to subscribe to another platform for these features. No doubt, they could be quite basic compared to other platform. But that’s good value for money right there. Next up is Weebly. The first thing we noticed when we first create a site, is that we cannot create a site from scratch. Each site you create will be based on a fixed theme template. However, plenty of beautiful themes are available to start you off and you can change you theme anytime. The editing experience is very much different from WIX. The editor is grid based, which means that it is more structured (which we like sort of prefer). Although you can drag and drop different elements into different configured spots. However, more complex modules, for example, tabs, are not available from the tool bar. For these kind of modules, you have to install an additional app. We feel that there is a little learning curve here. Free images are also lacking here. As their free images library is essentially loaded from flickr. We feel that Weebly is made as a WordPress alternative because of theme based design and module add ons. 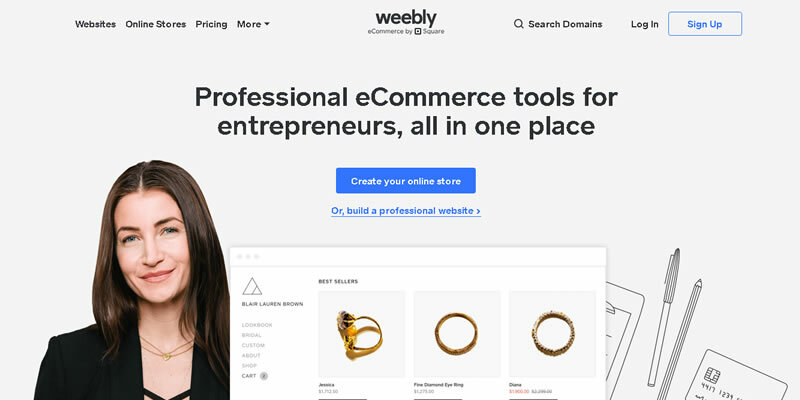 For users who are transitioning away from WordPress for what ever reasons, Weebly may be a good choice. Not quite a website builder, Shopify is primarily an eCommerce Platform. It is perhaps the most well known eCommerce platform in Singapore, if not the world. Most people would turn to Shopify to kickstart their online businesses. Relatively cheap to start off, you can start selling online very quickly. However, design is theme based and without a developer’s help, you pretty much cannot edit the design. What you can do is to edit the pre-determined content areas with a rather basic text editor. We like that Shopify is developer friendly with options to upload a custom written theme and edit the base code of any theme. The ability to upload custom assets is really great. With a developer platform, a user can be assured that customization is always possible. If you do not want to design anything, but just want a quick out of the box solution for your eCommerce website. Shopify is a great place to start. Dropshipping via oberlo is also well integrated into Shopify. If you want a turnkey eCommerce solution. 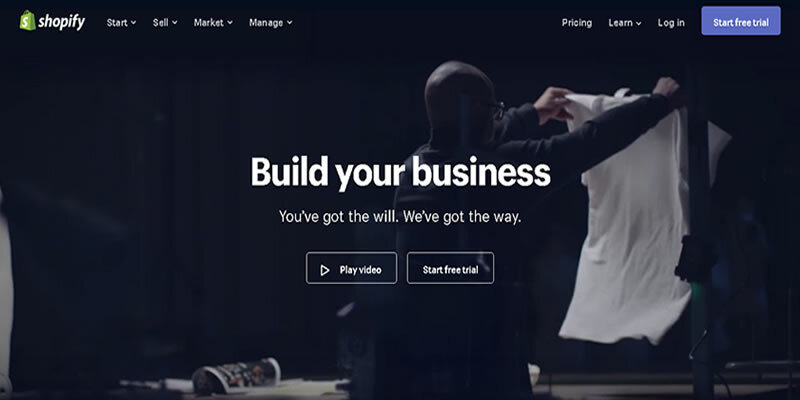 Shopify should be your top consideration. 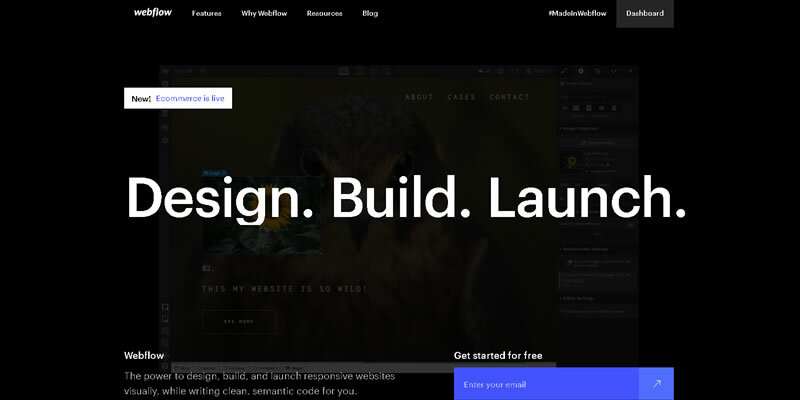 Unlike the other website builders, Webflow is technically made for designers. We included Webflow in this list for the brave user who craves the ultimate editing experience. It promises a design experience with full design control. Full control over your graphics, text, animations and HTML output. Even we are a little overwhelmed by the number of options available. Fortunately, there are free starter template available to start off with. No words can describe how excited we are when we found out about Webflow. I mean check out the screenshot above. Very nice! Obviously, Webflow is not for everyone. It requires a user with knowledge in front-end technologies at the very least. WordPress.com is not the same as a self hosted WordPress website. Instead of allowing full control of the site, alot of limitations are in place. Such as the ability to customize code and design as well as the number of available plugins. That being said, WordPress.com is a good alternative for those who does not want the hassle of maintaining servers and traffic. 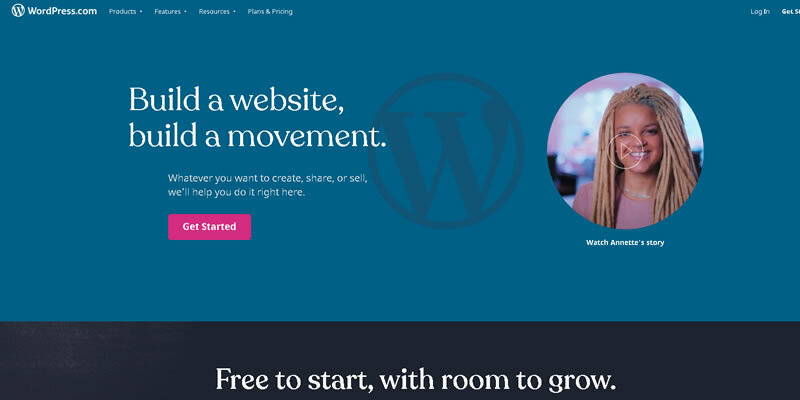 Compared to a platform like a self hosting WordPress website, Online Website Builders have their own advantages as well as shortfalls. In our experience, end users tend to prefer WIX because of the editing experience and Shopify for a low cost eCommerce Solution. Here at EADC, while our main choice of website CMS and web management system is a self hosted WordPress, we are more than willing to give a helping hand to our clients who are already on other platforms and do not wish to switch. Contact us and we’ll be there to help. EADC delivers effective website design, CMS solutions, eCommerce development and WordPress Services. Since 1999.